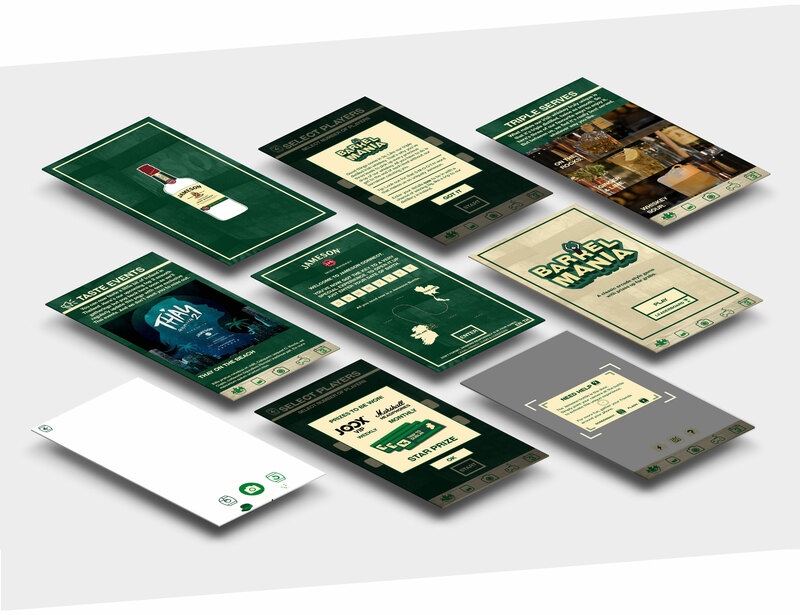 As a Globally recognisable brand famed for their twice as smooth Irish Whiskey, Jameson chose P8B to provide their audience with a cutting-edge App crammed full of the very latest features that Augmented Reality has to offer ! This AR activation & campaign was targeted specifically into the Game-loving, tech-savvy Thailand market in Asia. Created for mobile & tablet and deployed on both Apple & Google Play stores, the Jameson Connect AR app offers end users something really special. At centre stage of the deliverable sees the Jameson Whiskey Label being brought to life with a customised on-brand AR animation scene that tells the story of the distillation process and rich Whiskey heritage enjoyed with Jameson. Whether you are wanting to learn how to make the popular JGL cocktail, Compete & Play an immersive game of Barrelmania in AR to win big prizes, Keeping tabs on local Jameson Thai Events or simply just wanting to celebrate with a smooth selfie – the Jameson Connect AR App has it all. During the discovery phase the P8B Studio took in the key brand assets which allowed a foundation to further worked closely with the different Jameson teams to explore and interrogate their brief, getting to the heart of what their vision was and why it mattered. The P8B team strategically mapped out the digital infrastructure and created multiple unique app events including Artificial Intelligence, Gamification, Live Leaderboards & different AR techniques including Markerless & Marker based AR which helped integrate into a solid performing App for public consumption. JAMESON CONNECT AR is the key to the ultimate smooth Jameson experience. Point at the Jameson label and unlock an unforgettable night with friends. Entertain them with the Irish home of Jameson as it comes to life in your hands. Bring them all closer with cutting edge AR multiplayer games that can turn any bar table into a gaming zone. There’s also exclusive Smooth Selfie Filters designed to capture your night like never before. Plus get the heads-up on Taste Events so you never miss out again. And if all that wasn’t enough, Triple Serve suggestions will help give you the full 4D authentic Jameson experience. Get ready to let the good times flow. AR OPENING ANIMATION – Take a tour of our home with the Master Of Ceremonies as it pops up and animates around the Jameson bottle. 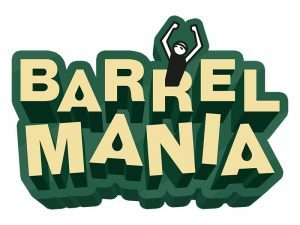 BARRELMANIA – Addictive AR retro-classic multiplayer game with prizes up for grabs. SMOOTH SELFIE FILTERS – Remember your night with a smooth selfie using the unique Jameson AR face-filters. TRIPLE SERVES – The top three smoothest ways to enjoy Jameson. TASTE EVENTS – Be first to know about upcoming Jameson Events.